New Year’s resolutions: they’re easy to make but difficult to maintain. And for the many Americans who resolve to eat healthier in the New Year, focusing on healthy snacks is an easy way to improve the quality of your diet, especially when you add the Feel Good Fruit (can you guess?!) to your favorite snacking recipes. I’ll be honest with you- this was my first attempt at homemade granola bars, but I was so, so pleased at how they turned out. If you’ve been wanting to try your hand at them, this step-by-step recipe should give you the confidence you need to try them. You won’t be sorry. 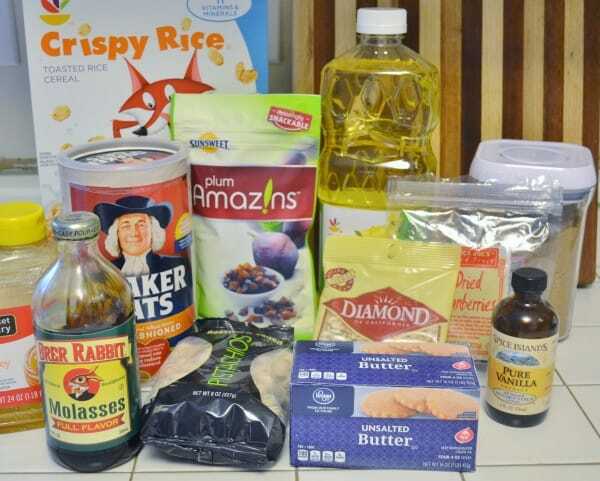 This may look like a lot of ingredients, but I honestly had most of them on hand (your probably do, too). Step 1: Preheat oven to 350 degrees. Mix together the melted butter, oil and salt, and stir in your oats. Spread on a large baking sheet, and toast for 15 minutes or so, stirring every 5 minutes so they don’t burn. Remove pan and let cool. Once cool, add to large bowl. Step 2: Reduce over to 325 degrees. 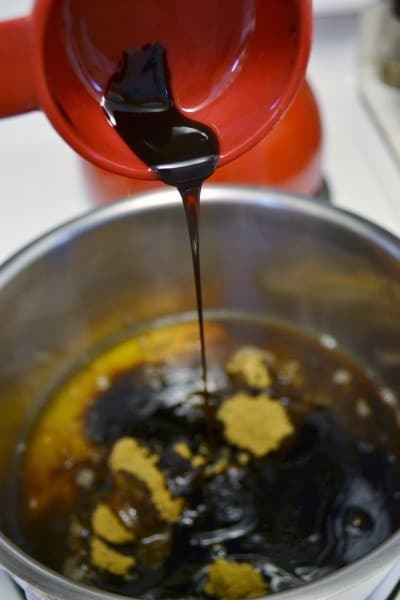 In a medium saucepan, combine the brown sugar, honey, juice and molasses. Heat the mixture slowly, stirring until combined. Stir in the vanilla, remove from heat. 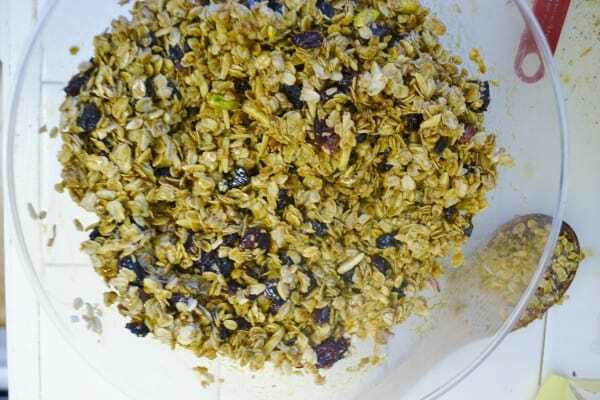 Step 3: To the bowl of oats, add the rice cereal, diced plums, other dried fruit, almonds and pistachios. Mix together. Slowly pour in the sugar mixture, stirring as you pour. It’ll be nice and sticky at this point. Step 4: Line a pan with foil (I used the same pan I toasted my oats in), and spray with nonstick spray (important!!). Press the mixture into your pan, pressing into shape, and bake for 20-25 minutes. They’ll be soft when you remove them from the oven, but they’ll harden as they cool. 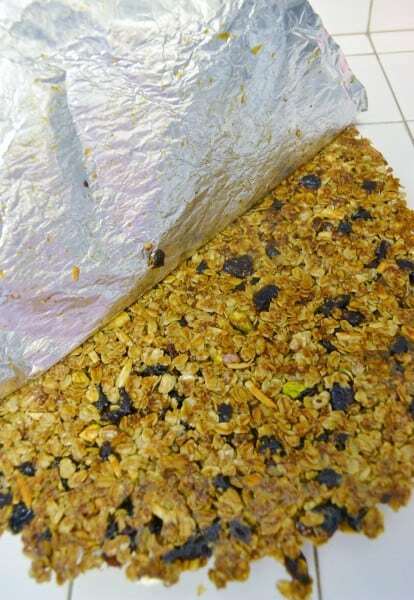 Once they cooled for a few minutes, I removed the granola (foil and all), onto the counter to cool a bit faster. Step 5: Once cool, remove foil from the granola. Cut into either squares or rectangles. Step 6: Time to get dipping! Slowly melt chocolate chips in a microwave-safe bowl. If you don’t melt slowly, the chocolate won’t harden, so take your time! I melted my chips for 30 seconds at 50% power, gave them a stir, put them back in for 20 seconds at 50% power, and stirred until they were melted fully. 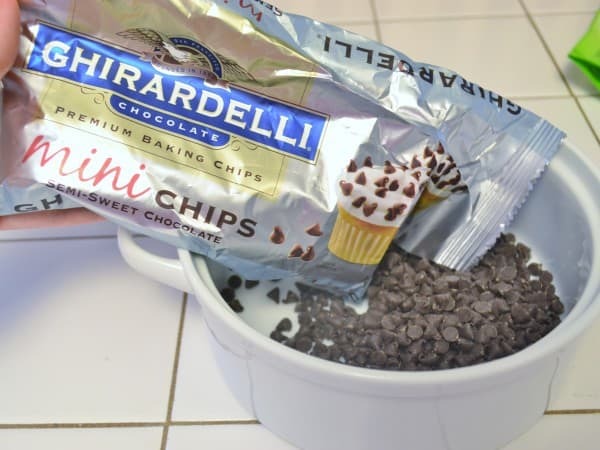 Chocolate chips can retail their shape even when melted, that’s why stirring is so important to see when they’re done. Dip bars halfway into chocolate, then place on parchment to set. PlumSmart® Light: This juice is made from a special variety of fresh, juicy plums and has only 60 calories and 15g of carbs, and helps you stay fit on the inside by providing a good source of fiber. 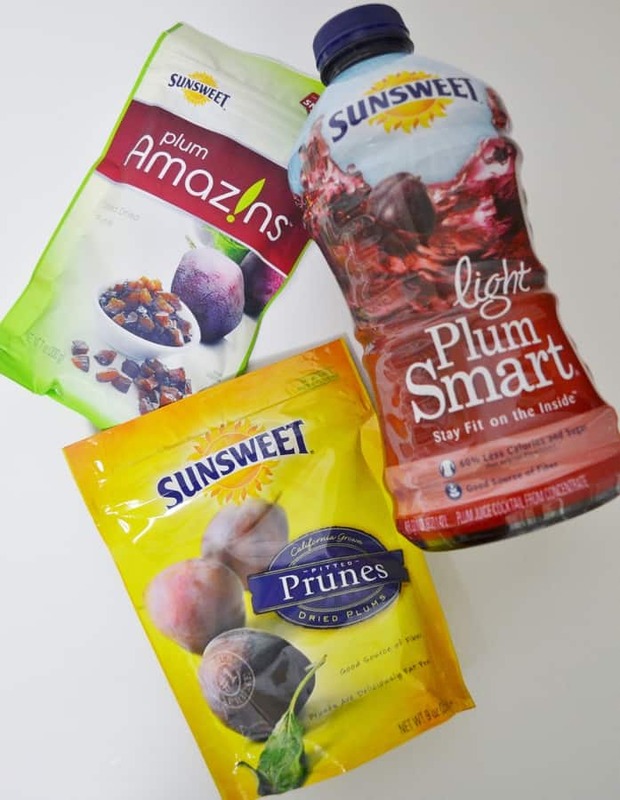 PlumSmart Light is a great addition to a smoothie. 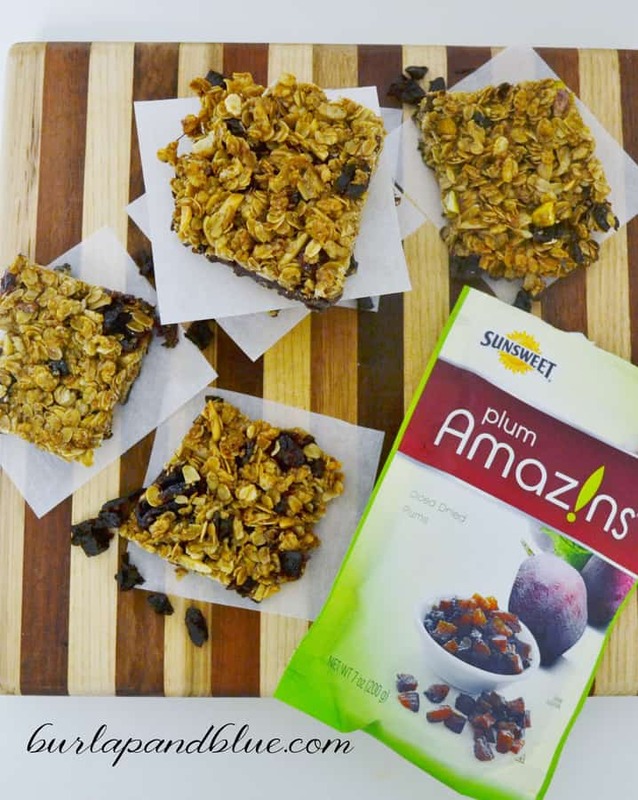 Amaz!n™ Prunes: These little gems are a good source of fiber for only 100 calories per serving. Amaz!n Prunes are nature’s perfect way to feel good with nutrition and delicious taste. Prunes also have a low glycemic index, which means they keep you feeling fuller longer. 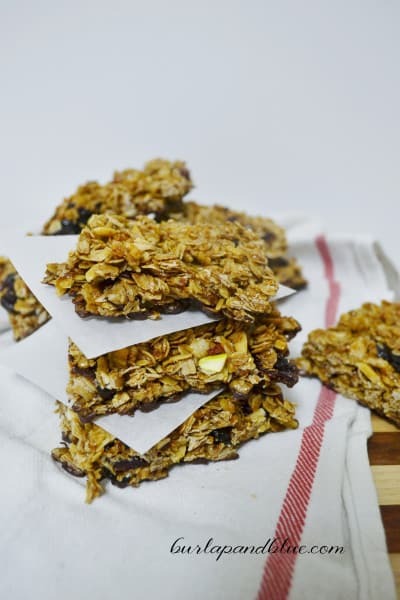 They add a powerful boost of nutrition and fiber to snack time or your favorite recipe. 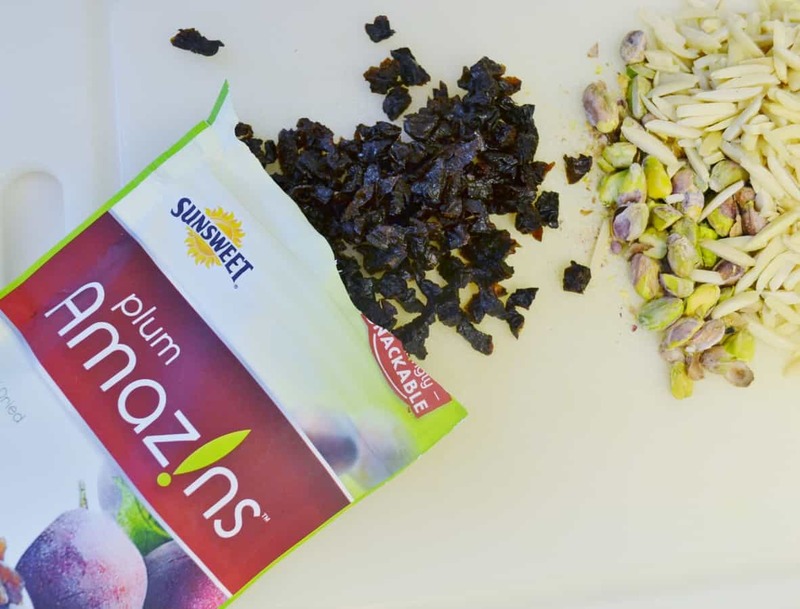 Amaz!n™ Diced Prunes: Grab a handful of these delicious diced prunes for nutritious snacking. One serving of Amaz!n Diced Prunes is a good source of fiber for only 100 calories. Add to your favorite snacking recipe for extra fiber and a fruit flavor boost. 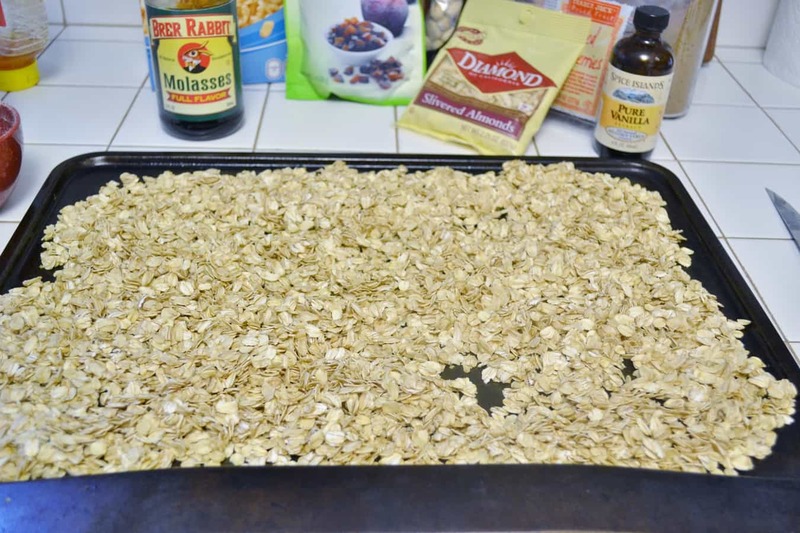 I’m so glad I overcame my hesitation and tried these out–it’ll be hard to buy store-bought granola bars again! Previous Post: « new in shop! 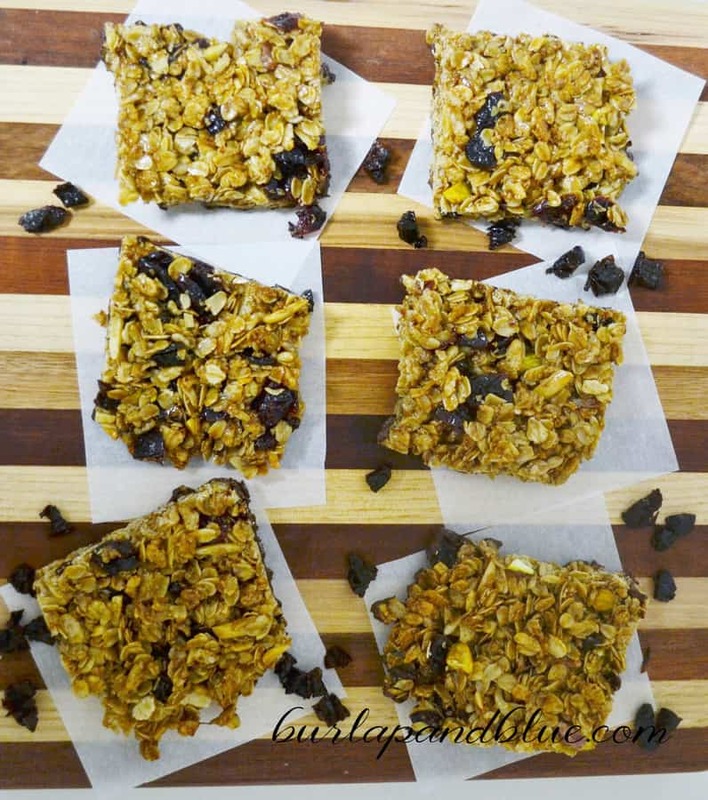 I LOVE prunes (which I find funny because they used to creap me out), so I love that you added them to these granola bars! 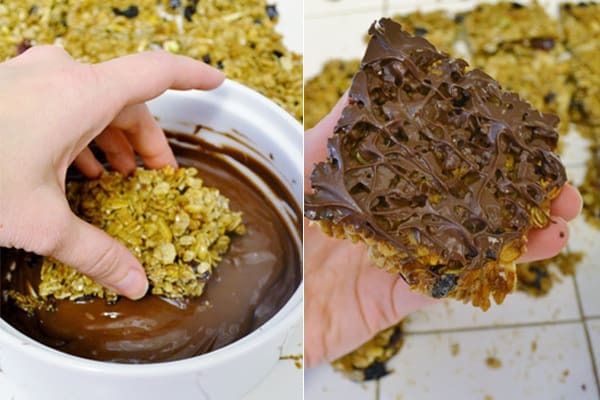 These granola bars look absolutely amazing. Continue baking like this and you will be sure to knock your New Year’s commitments out of the park. 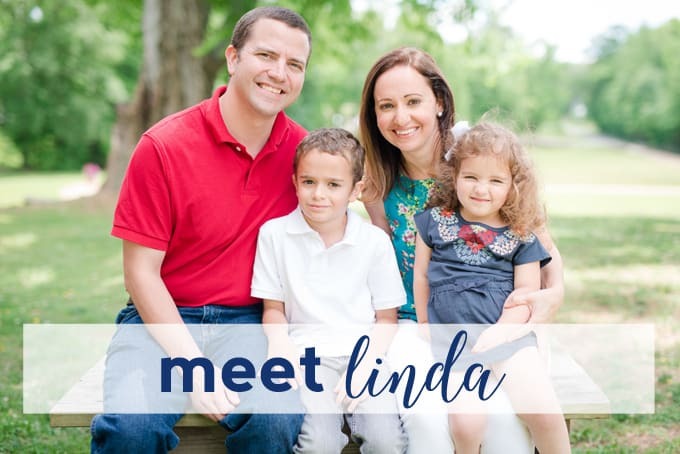 Love your pics as well! 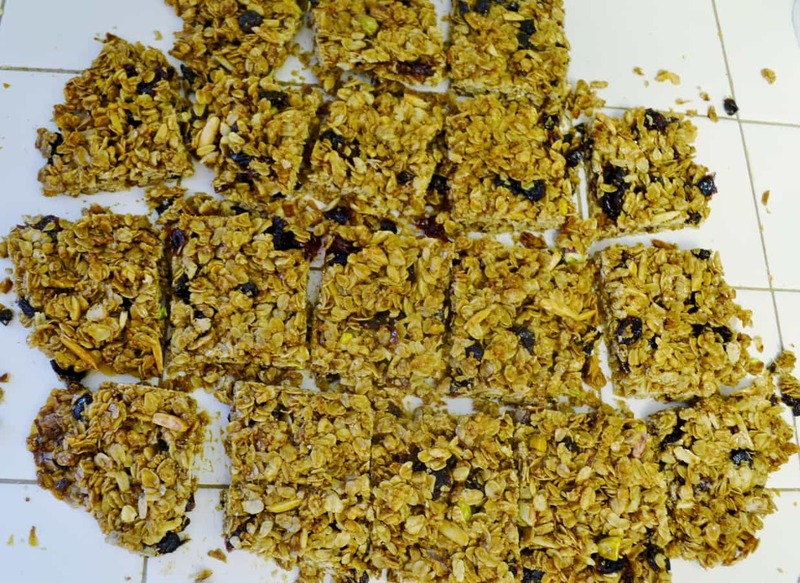 These look very good….it is a lot of ingredients…but may be worth the time! I love homemade granola. This looks delicious especially dipped in chocolate. Those look really good and really healthy! Thanks for sharing! These look delicious. It’s great to have an alternative for the kids (and me!) that’s this tasty looking. I need to make these. 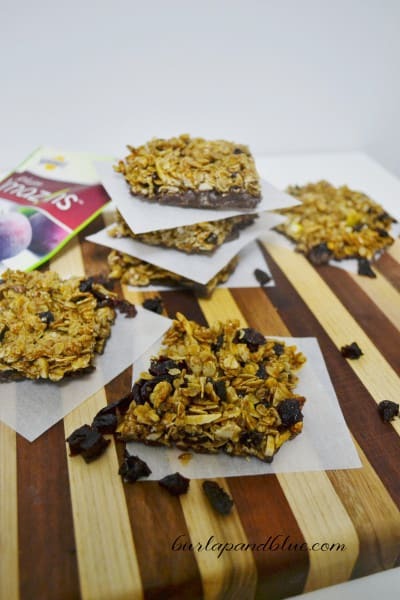 We seem to go through granola bars like water…I bet these are healthier and better tasting. 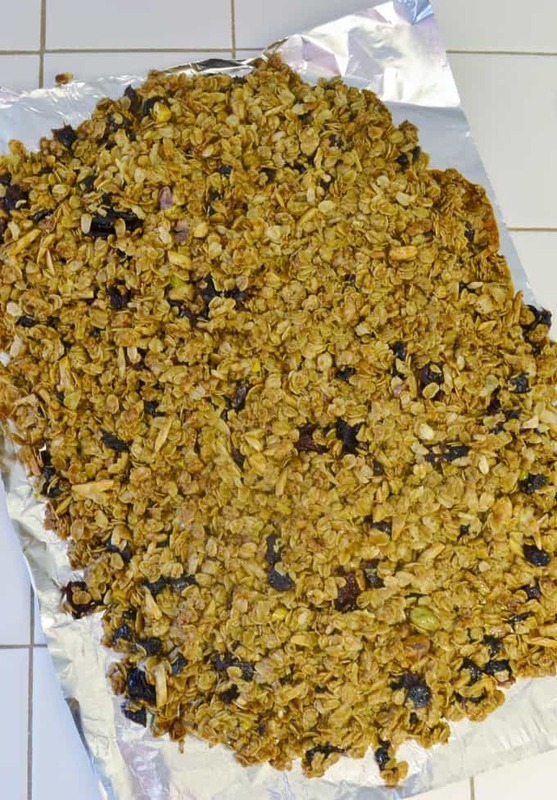 I love seeing different granola bar recipes! It makes it fun to keep a handful of variety options instead of always having the same option. 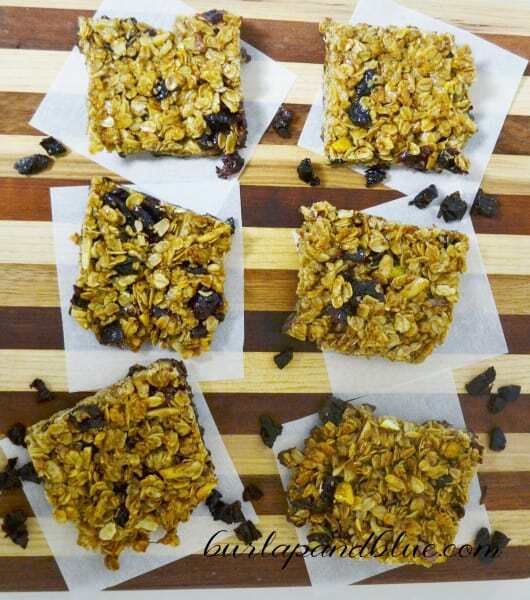 I love granola bars- going to have to try making these for the kids’ lunches!